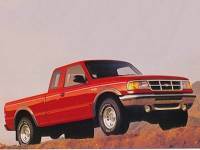 1994 ford ranger LOW MILES! PRICE REDUCED!!! ...1994 Ford Ranger, standard cab, 5 speed, new clutch, 126,000 miles. Handy little dependable truck.